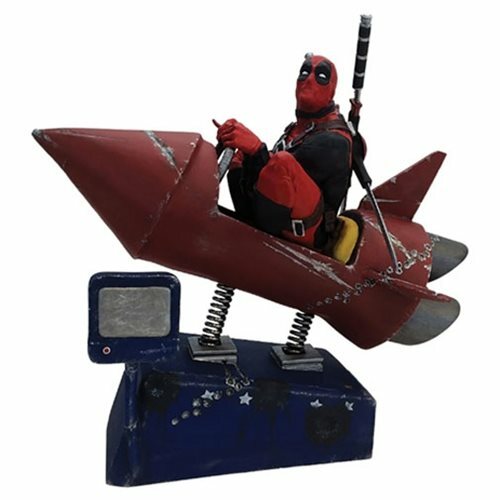 Deadpool Rocket Ride - The Surefire Gift For You Friend Who Keeps Seeing The Film - Are You Screening? Deadpool can’t stop destroying the box office, and winning weekend after weekend, and as the host of products will obviously soon take over stores, there are going to be some that are cooler than others. If you want to really show off your Deadpool fan status, as opposed to just seeing it again and again, this is an awesome little treat.